Japan, 1969. Hardcover. Fine. 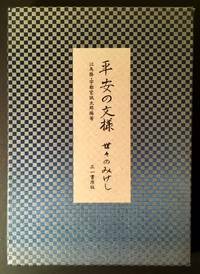 A handsome example of Mishima's "Sea of Fertility", in its native language and in early, lavish editions. Published between 1969-1971, all 4 volumes in the tetralogy are in superb condition. Each is tight and Fine in its dark silk covers. And each includes a Fine example of its pictorial dustajcket. And, furthermore, each is housed in a solid, Near Fine to Fine pictorial cardboard slipcase. The 4 voluemes are: 1) Spring Snow; 2) Runaway Horses; 3) The Temple of Dawn; and 4) The Decay of the Angel. 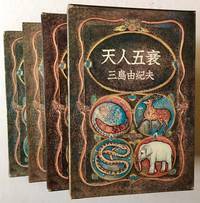 A scarce set as such, in its original Japanese. 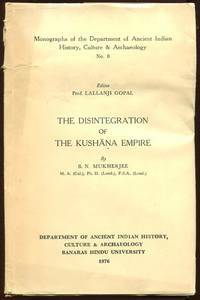 Yale University Press, 1927. Cloth. Very Good +. A solid copy of the 1927 1st edition. Tight and VG+ in its wine-red cloth, with light rubbing along the spine, just a bit of faint soiling to the panels and neat, light pencil underlining in a number of sections. Thick octavo, 422 pgs. Japan: The Bureau of Reconstruction Home Office, 1929. Cloth. Very Good. The uncommon 1929 official report of the outline of reconstruction work in Tokyo and Yokohama in response to the lethal earthquake which struck in the early morning hours of Sept. 1st, 1923. This earthquake was one of the most powerful in recorded history, measuring a 7.9 in magnitude, and devastated Tokyo and the port city of Yokohama. Accounts indicate the duration of the quake was anywhere between 4 to 10 minutes. This report, its first appearance in book form, is solid and VG to VG+ in its blue cloth, with bright gilt-titling along the spine. Light spotting to the fore-edge and minimal wear along the gutters. 6 detailed fold-out maps at the rear, dozens of crisp black-and-white photos thruout. A Preface (an "Imperial Edict on Reconstruction"), each page protected by its original glassine tissue-guard, was issued by the Emperor and was signed "Imperial Sign manual/Prince Regent's Sign Manual". Text in English. Boston: Meador Publishing Co, 1943. Cloth. Very Good/Near Fine. SIGNED BY THE AUTHOR NO-YONG PARK on the front free endpaper. A tight, sharp copy to boot of the stated 2nd edition, revised. Solid and VG (former owner bookplate at the front pastedown, light creasing to the front free endpaper) in a crisp, price-intact, Near Fine dustjacket. Octavo, 198 pgs. Harvard University Press, 1971. Cloth. Very Good/Very Good +. A tight, crisp copy of the 1971 1st edition. Solid and VG in a bright, VG+ dustjacket, with several small closed tears --and very light chipping-- along the panel edges. 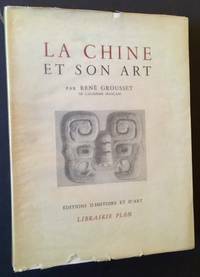 Extensive, light pencil underlining by the former owner of this copy, a Vassar sinologist and professor of Chinese history. Octavo, 345 pgs. London: Oxford University Press, 1961. Cloth. Very Good +/Very Good. A tight, sharp copy of the 1961 1st edition. Solid and VG in a bright, price-clipped, VG+ dustjacket, with very light wear along the panel edges. 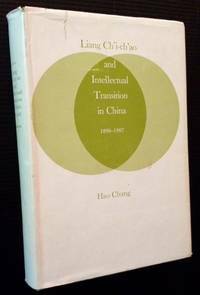 Light pencil underlining thruout by the former owner of this copy, a Vassar sinologist and professor of Chinese history (who also wrote her name on the front free endpaper). Octavo, 351 pgs. Henry Vetch Publisher, 1933. Cloth. Collectible; Very Good/Very Good. 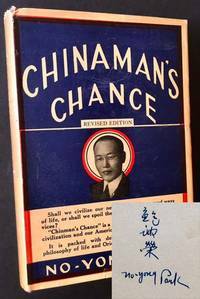 The 1933 2nd revised edition. 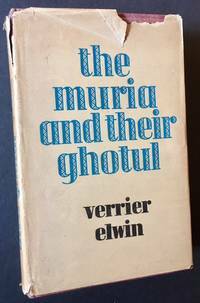 Solid and VG in its light-brown cloth and in a bright, VG- dustjacket, with light chipping at the panel edges and mild darkening along the spine. Thick 16mo, 329 pgs. Varanasi, India: Banaras Hindu University, 1976. Cloth. Collectible; Very Good/Very Good. 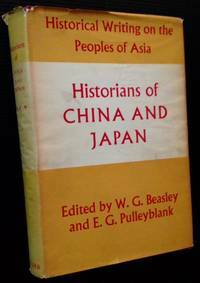 The 1976 stated 1st edition. Solid and VG in a bright, VG dustjacket, with several small closed tears along the spine. Octavo, 108 pgs. Wiesbaden, Austria: Franz Steiner Verlag, 1985. 1st. Original Wraps. Collectible; Fine. 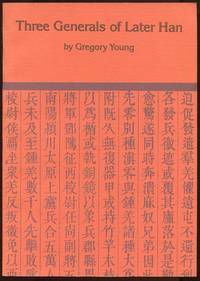 The 1985 1st edition, complete in 2 volumes. Both volumes clean and Near Fine in their orange and white wrappers. Octavos, Vol. 1: Texts; Vol. 2: Reference and Documentation. Canberra: Faculty of Asian Studies--Australian National University, 1984. 1st. Original Wraps. Collectible; Fine. A crisp, very sharp copy of the 1984 1st edition. Bright and Near Fine in its orange wrappers. Octavo, 108 pgs. 1971. 1st. Decorative Cloth. Collectible; Fine. Beautiful 1971 study of the design patterns of Japan's Heian Period (795-1100 AD). Clean and Near Fine in its very attractive silver and blue checkered cloth. Folio, roughly 80 lavish tipped-in plates (with accompanying Japanese text) in rich, vivid color. Both the book and its interior are in pristine condition. This copy also includes a bright, Near Fine example of the publisher's box, which has its matching, silver and blue checkered cloth. A lovely production. 1st. Decorative Cloth. Collectible; Fine. 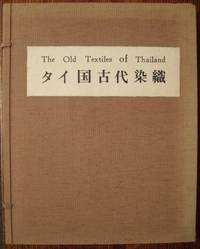 Beautiful 2 volume set showcasing the "old textiles of Thailand". Each volume pristine in its ribbon-tied decorative cloth. 100 plates in all (50 in each volume), each a sampling of Thai textiles in rich color. Double folio, also includes a solid, VG example of the publisher's ivory-clasped chemise, with light fading along the edges and at the spine. A lovely production. Text in Japanese. 1961. 1st. Cloth. Collectible; Very Good. Uncommon 1961 sampling of 100 Japanese textiles for springtime. Photographed in vivid, rich color, with accompanying Japanese text at each plate. Solid and VG- in its russet cloth, with light wear at the spine ends and along the outer hinges and light soilijg to the panels. Square quarto, over 100 textiles photographed. New York: G.W. Dillingham Company. Decorative Cloth. Collectible; Very Good. VG in its dark, decorative cloth, with blindstamped design to the panels and bright gilt-lettering along the spine. Very light soiling to the panel edges, light foxing at the endsheets. Thick 12mo, 325 pgs. Translated from "La Bible Dans L'Inde" by Louis Jacolliot. Shanghai Scientific & Technical Publishers, 2007. 1st. Hardcover. Collectible; Fine. 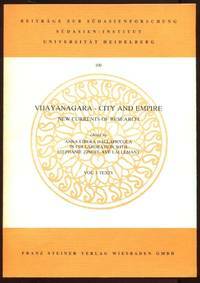 An immaculate copy of the 2007 1st edition. Bright and Fine in its duotone cloth, with decorative silver design at the front panel. Square quarto, crisp color reproductions thruout. Also includes a pristine example of the publisher's faux-ivory folding chemise, which houses the book. Boston: Hickling, Swan and Brown, 1855. Decorative Cloth. Collectible; Very Good. A solid copy of the 1855 1st American edition. Tight and VG in its chocolate-brown cloth, with very light foxing and soiling to the interior. Decorative blindstamping at the panels and bright gilt-lettering along the spine. Thick 12mo, 299 pgs. Edited by C.C. Felton. Tuscaloosa, Alabama: BANZAI, 1994. 1st. Original Wraps. Collectible; Fine. SIGNED BY THE AUTHOR on the title page. A very sharp copy to boot of the 19941st edition. Bright and Near Fine in its original wrappers. Quarto, 163 pgs. Signed by Author. New York: The Beechhurst Press, 1954. Decorative Cloth. Collectible; Very Good/Very Good. The 1954 1st American edition. Tight and VG (with light foxing at the top and fore-edges) in a bright, VG+ dustjacket, with very light soiling at the rear panel and light wear to the spine ends. Quarto, 238 pgs. of text plus 192 crisp black-and-white reproductions. London: Oxford University Press, 1947. 1st. Cloth. Collectible; Very Good/Very Good. The 1947 1st edition. Solid and VG+ in a bright, price-intact, VG- dustjacket, with chipping along the top-edges and at the spine ends. Still though, a presentable copy. Thick octavo, 730 pgs. Also includes the Word-List accompanying the text. Paris: Librairie Plon, 1951. 1st. Original Wraps. Collectible; Fine/Very Good. 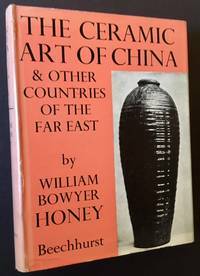 A solid copy of the 1951 1st edition. Clean and VG+ in its original wrappers. And in a VG example of the glassine dustjacket, with very light chipping at the edges. Octavo, 252 pgs., crisp black-and-white reproductions thruout.